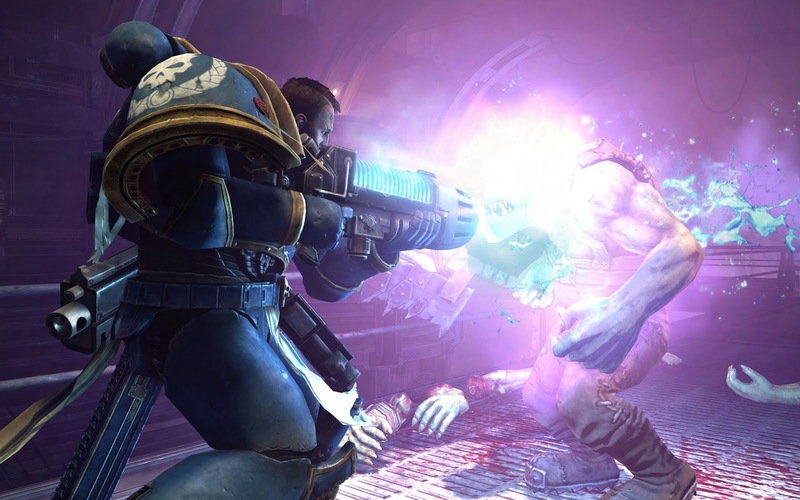 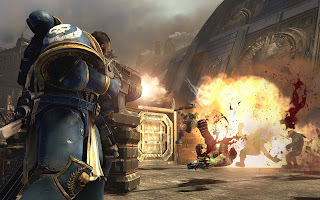 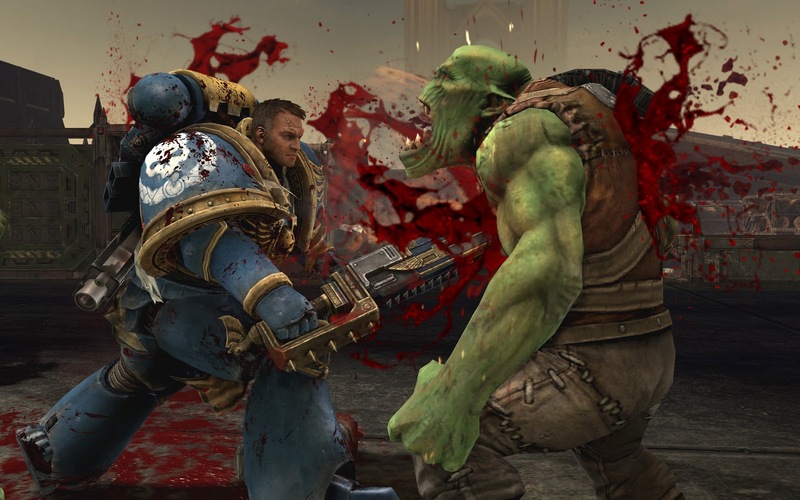 Some new screens of the upcoming Warhammer 40k third person shooter, Space Marine, have surfaced. 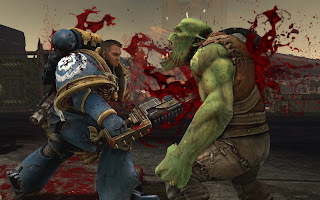 Although it's been in the works for quite some time now, there's very little data available on the game. 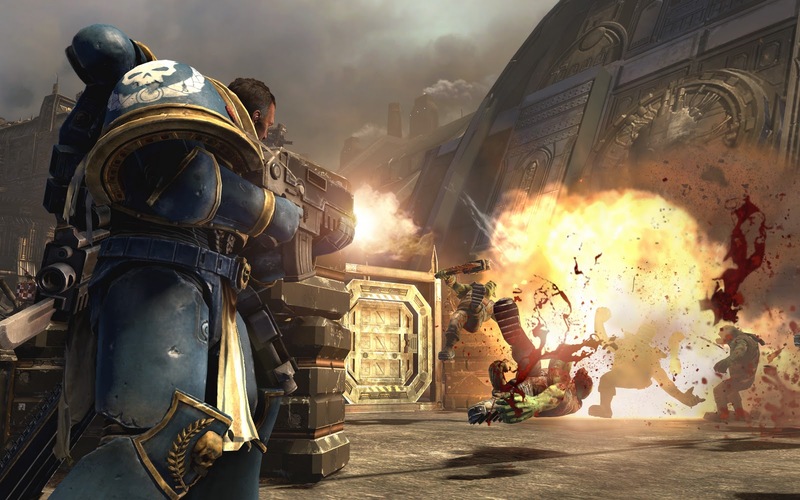 Here's the latest- a whopping three screens of the game in action! Wheee.